First, a confession. I am a Wes Anderson fan. However, one that is slightly wavering. 2009's 'Fantastic Mr Fox' had its moments yet failed to live up to the magic of Roald Dahl's novel, while 2012's 'Moonrise Kingdom' somewhat washed over me. 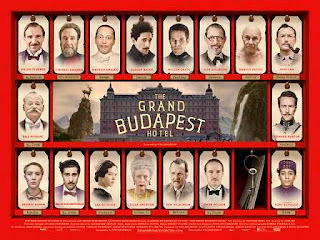 Of course, the memories of Anderson's previous efforts remain strong but I was tentative going into 'The Grand Budapest Hotel' - which subscribes to Anderson's usual whimsical formulae yet is arguably his breeziest film yet. Ralph Fiennes portrays a concierge at the Grand Budapest Hotel in the 1930s, who is framed for murder following a dispute over a will. 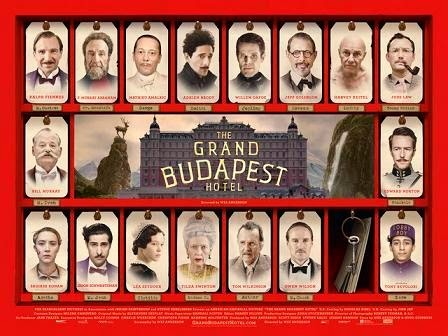 Amid the backdrop of war in the hotel's fictional setting of Zubrowka, Fiennes teams up with his protege Zero (the relatively unknown Tony Revolori) to fight for his inheritance and innocence against nemesis Dimitri (Adrien Brody), assassin Jopling (Willem Dafoe), and Edward Norton's Inspector Henckels. Anderson's iconic and recognisable filmmaking style is immediately apparent - from the symmetrical composition of many of his shots to another rich collaboration with Alexandre Desplat for the score - these are aspects that are likely to appeal to existing fans rather than convert newcomers. Anderson does extend himself in certain respects, opting to represent each of the three different time periods featured via the means of different aspect ratios. The vibrant look of the film is carried through Anderson's script, which offers Fiennes the most comedic role of an esteemed career - an opportunity he gleefully seizes. The comedy added to the caper element delivers perhaps Anderson's least overwrought film although it lacks a certain heart to truly match previous Anderson classics of the calibre of 'Rushmore' and 'The Royal Tenenbaums'. Nevertheless, 'The Grand Budapest Hotel' is as ornate and charming as its in-film counterpart. 'The Grand Budapest Hotel' is out today in UK cinemas, through Twentieth Century Fox.